Every year thousands of people gather together in one arena, while millions gather together in living rooms, dorm rooms and bars to watch the most anticipated game in North America: The Super Bowl. 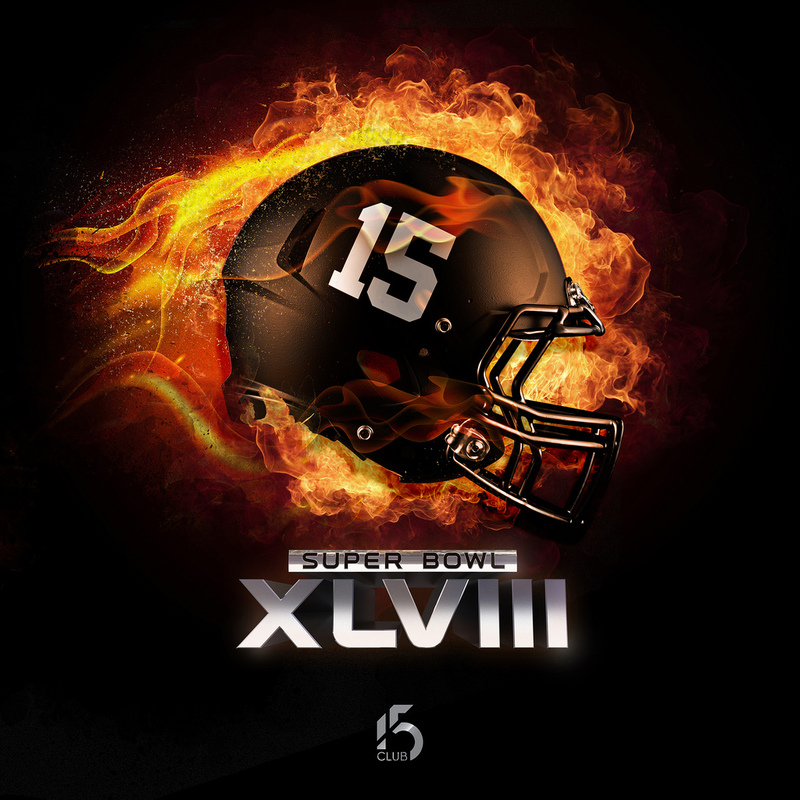 This year’s Super Bowl is one of the most anticipated Super Bowls since 2002. The players from each team are excited to showcase all the hard work and dedication that they put into this year. This year’s game features the league’s top-ranked offense vs. the league’s top ranked defense in the NFL, a matchup that has only occurred four other times in NFL history. The game will take place today at MetLife Stadium, in East Rutherford, New Jersey. The two teams are battling for the greatest prize in North American sports, and this game could not be any more attractive, the lights could not be any brighter and the stage could not be any bigger since it features the NFC’s first-seeded Seattle Seahawks against the AFC’s first-seeded Denver Broncos. There will be an on-field battle between the League’s top defense (Seahawks) and offense (Broncos).The Seahawks are after what would be the franchise’s first Super Bowl victory; their first Super Bowl appearance was eight years ago where they lost to the Pittsburgh Steelers. Now the Seahawks are currently ranked the number one scoring defense, pass defense and total defense. The Seahawks physical defense features three All Pro defensive backs: Richard Sherman, Early Thomas and Kam Chancellor. Chancellor is considered the NFL’s best secondary, aka the “Legion of Boom Secondary”. Sherman completed the 2013 regular season with eight interceptions, leading the whole NFL. He was also a front runner for Defensive Player of the year by finishing the season with 16 passes defended, two fumble recoveries and 49 total tackles. Thomas ended the regular season with eight defended passes, five interceptions and a total of 100 tackles with three forced fumbles. Likewise, Chancellor, who plays physical and with a high intensity, racked up six pass deflections and 93 total tackles. Seattle’s stacked defense is also matched by a smooth, slick offense that is run by undersized All-Pro quarterback Russell Wilson and powerhouse running back Marshawn Lynch, aka “Beast-Mode,” right behind him. The offense plans to keep control of the ball by having majority of the ball possessions and by relentlessly countering Denver’s defense. However, on the other side of things, Denver is run by the 6’5” laser-rocket-armed quarterback Peyton Manning who passed 5,477 yards and 55 touchdowns for an NFL record this year. The Bronchos also have their slick running back Knowshon Moreno playing a huge role in the total offense by rushing for 1000+ yards while receiving for 500+ yards. Although Denver has been rolling over defenses, Manning is set to face his hardest test yet, dueling against Seattle’s top-ranked secondary. Manning will be launching the ball to his unstoppable receiving corps that plans to destroy Seattle’s secondary defenses. The deadly wide receiving corps features Demaryius Thomas and Eric Decker on the outside, Wes Welker in the slot and Julius Thomas at tight end. Whether the Bronchos or Seahawks win, this is a game that all sports fan will tune into and will be talked about for years to come.